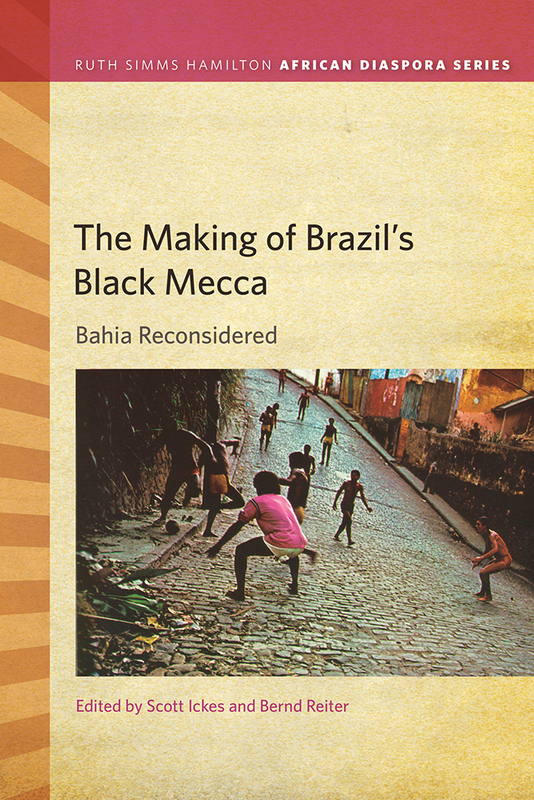 One of the few interdisciplinary volumes on Bahia available, The Making of Brazil’s Black Mecca: Bahia Reconsidered contains contributions covering a wide chronological and topical range by scholars whose work has made important contributions to the field of Bahian studies over the last two decades. The authors interrogate and problematize the idea of Bahia as a Black Mecca, or a haven where Brazilians of African descent can embrace their cultural and spiritual African heritage without fear of discrimination. In the first section, leading historians create a century-long historical narrative of the emergence of these discourses, their limitations, and their inability to effect meaningful structural change. The chapters by social scientists in the second section present critical reflections and insights, some provocative, on deficiencies and problematic biases built into current research paradigms on blackness in Bahia. As a whole the text provides a series of insights into the ways that inequality has been structured in Bahia since the final days of slavery. SCOTT ICKES is Visiting Assistant Professor in the History Department at Gustavus Adolphus College and author of African-Brazilian Culture and Regional Identity in Bahia, Brazil.